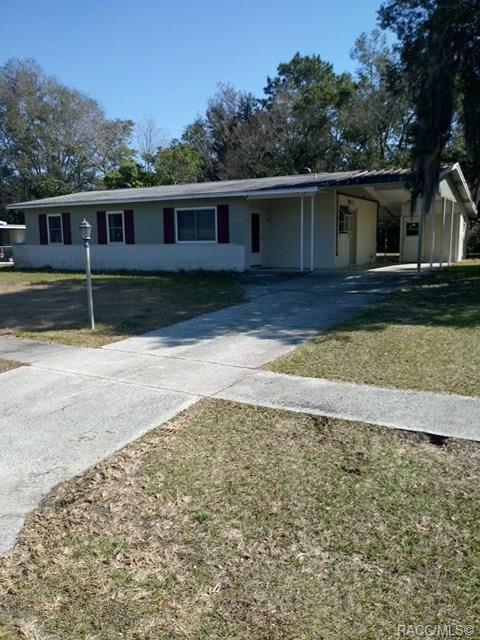 NICE 3 BEDROOM, 1 BATHROOM HOME IN CITRUS SPRINGS!! Conveniently located on a LARGE, CORNER LOT close to shopping, restaurants, and highway access. This GREAT HOME is being SOLD AS-IS and features a great layout with attached carport and covered back porch. All appliances included! Great starter home, rental, or downsizer. This is NOT a short sale or a bank owned property. This is a GREAT HOME that is PRICED TO SELL!! Come see it TODAY!! Directions: N. Deltona Blvd To Southwest On W. Gardenia Dr. House On Left.